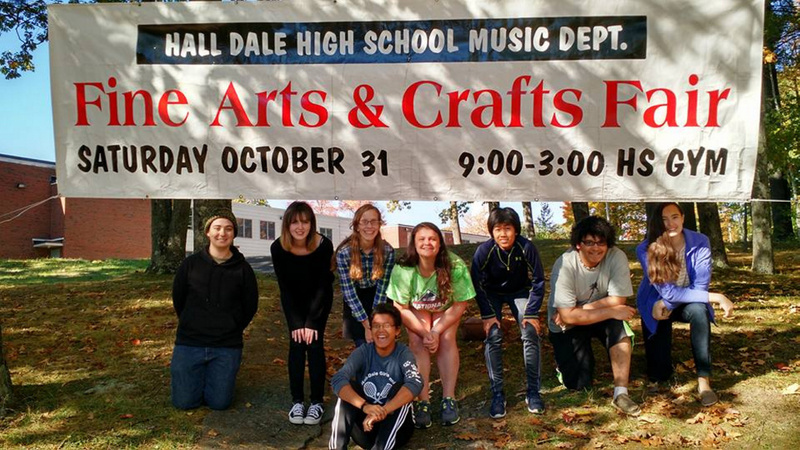 Halloween Costume Parade planned for 2 p.m.
FARMINGDALE — The Hall-Dale High School Music Council will host its seventh annual Fine Arts & Craft Fair from 9 a.m. to 3 p.m. Saturday, Oct. 31, in the high school gymnastium, according to a news release from the school. There will be more than 60 booths of Maine-made crafts. The 16-plus different categories of art include woodworking, bath and body, jewelry, photography, fiber arts and painting. Admission is free, and a kids craft room will be open all day. New this year will be a Halloween Costume Parade at 2 p.m. for children elementary school-age or younger. Following the parade there will be Halloween games in the music room. Proceeds will support Maine artists and help the music students as they work to earn their way to the Great East Festival on June 3, 2016.